Before humans consume primary materials or use some items they first need to be processed into usable products. 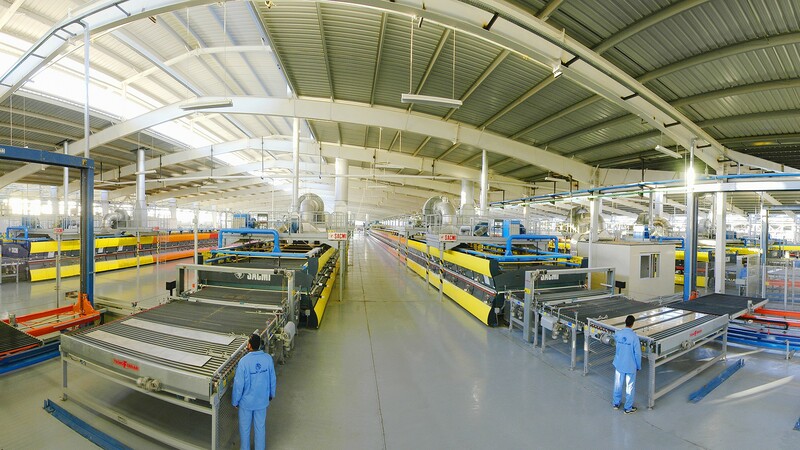 The production of goods in large masses is referred to as manufacturing. Cloths are made from cotton, paper from wood, sugar is made from sugarcane, iron from iron ore and aluminum from bauxite. 1. A country’s economic might is recognized and measured by the development of the various manufacturing industries that it has. 2. Industries assist in getting rid of poverty and unemployment in a country by giving people job opportunities. 3. Industries aid in modernizing the agricultural sector by manufacturing all modern machinery like tractors and ploughs. 4. Products manufactured are exported to other foreign nations giving a country revenue. Both industries and Agriculture move simultaneously as they both produce for each other. Various industries rely on whatever agriculture will produce. Products like sugarcane, cotton, and oilseeds are all raw materials that industries expect from the farm. On the hand, Agriculture depends on industries for pipes, fertilizers, irrigation pumps, tools, and other machinery. According to history, the development of the manufacturing industries commenced back in 1951. There are several factors that contribute to a geographical location of an industry. These factors can be grouped into either human or physical. Some of the physical factors include power resources, raw materials favorable climate and water, whereas human factors include, labor, market, banking facilities, capital, transport facilities, human inputs, and government policies. What’s The Contribution Of The Manufacturing Industry To The Economy? The share that industries contribute to the GDP is around 17%. However, when the electricity, mining, quarrying, and gas industries are included they total to 27%. The next decade, the growth rate is predicted to increase with at least 12%. Currently, the field is growing at a rate of 9 to 10% per annum. For most engineers south west to set up an industry, there are some factors that must be met. Things like raw materials, labor, market, and power should be available. However, it’s challenging for all these materials to be available in one particular location. Therefore, an industry is based where most of these factors are available. All agro-based industries like silk, cotton, sugarcane, woolen textiles and vegetable oil are situated in regions where these raw materials are growing. The agro-industry thrives well in India because of cheap labor of about 35 million. There are some industries like the cotton textile that had suffered extinction after suffering immense attacks during the colonial periods. However, they found strength and made a comeback. Just like all agro-industries, cotton facilities were situated in cotton fields or region that were concentrated with cotton growers. Agro-industries also require a wide market, accessibility to markets, reliable transport facilities, a favorable climate depending on the crop and availability of labor. Agro-industries have in turn given farmers a living and offered thousands of people a source of employment. Once the cotton has been manufactured, it’s exported to various countries. Earning the country revenue.